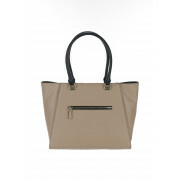 Get your hands on the cooper tote bag this season in its stunning tan colour. 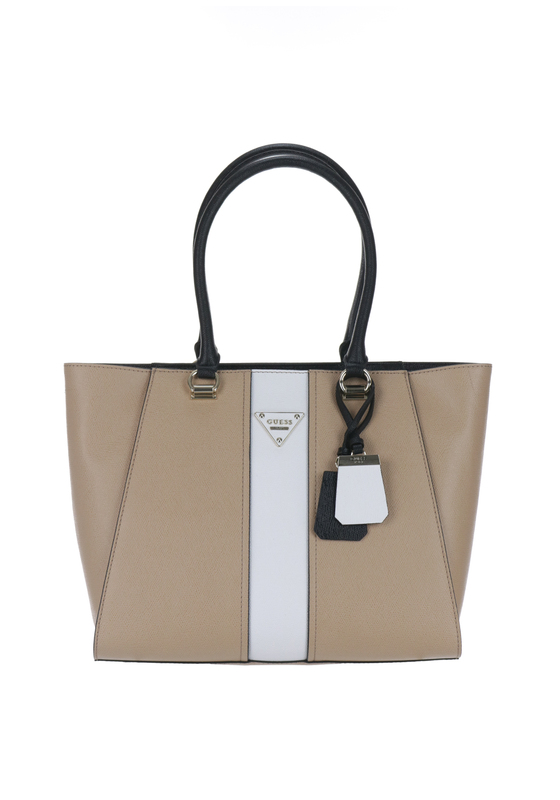 A contemporary and chic choice with a contrasting white centre panel and Guess branding which also appears on the luggage tag. 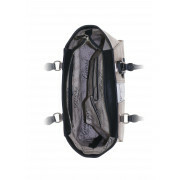 A zipped fastening reveals a spacious compartment with a Guess branded lining and plenty of room for essentials, make up and toiletries.